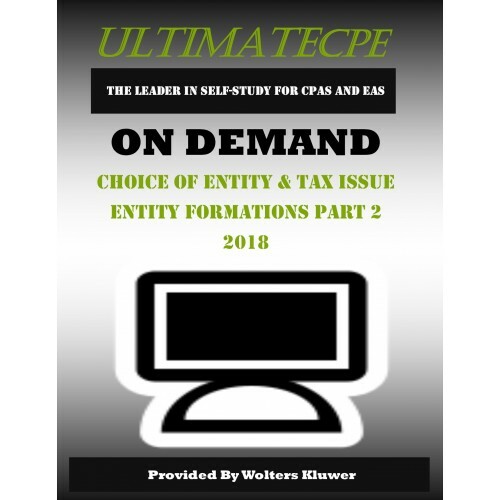 Basic experience with choice of entity and tax issues involved in entity formations. 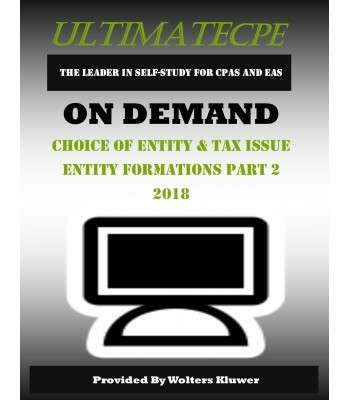 Completing CPE course Choice of Entity & Tax Issue Entity Formations: Part 1. This course will discuss the tax advantages and disadvantages of each entity type. The course will also cover the tax treatment and potential pitfalls involved in forming each type of entity. Choosing which type of entity to use to form and organize a new business can be challenging. One must consider and weigh costs and benefits today vs. the future, without knowing what the future will bring. Often, business concerns suggest one type of entity while tax concerns suggest another. These decisions are also affected by the Tax Cuts and Jobs Act of 2017 with the new 20% pass through deduction and the lower rate for C corporations. While much of that remains uncertain, Jennifer Kowal will discuss the impact of the tax bill and how it needs to become part of the decision making process in 2018. Value Pass, Unlimited Self-Study, Unlimited Webinars, Self-Study & Webinars Package, and Firm Package. Tax practitioners at all levels who advise on the tax issues involved in forming business entities.